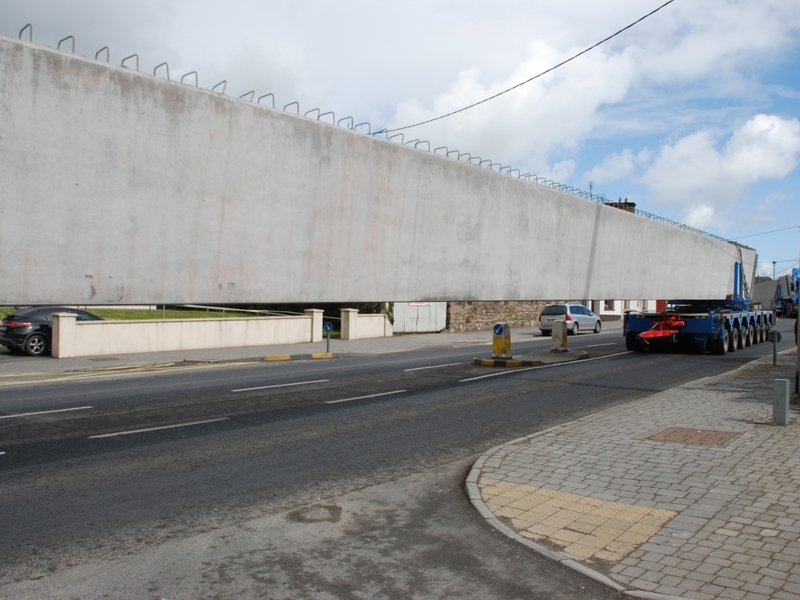 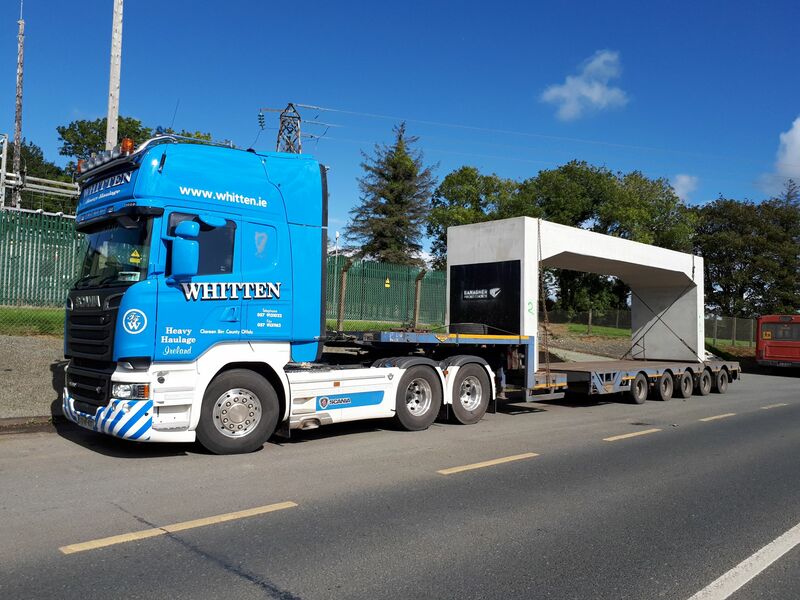 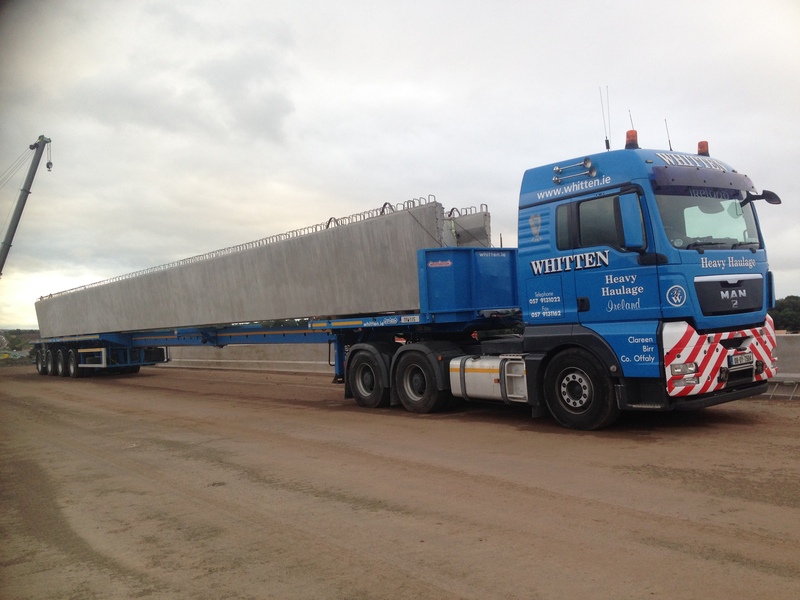 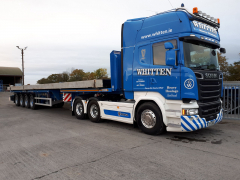 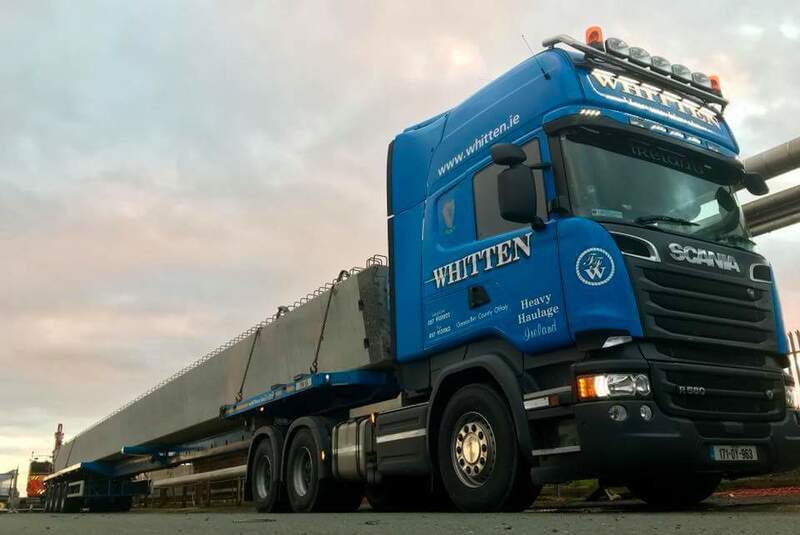 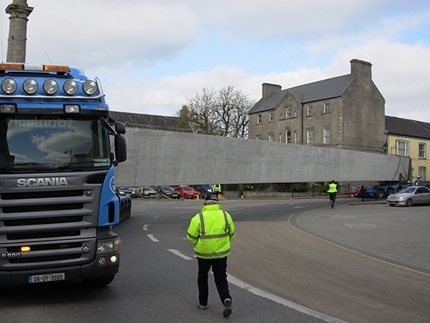 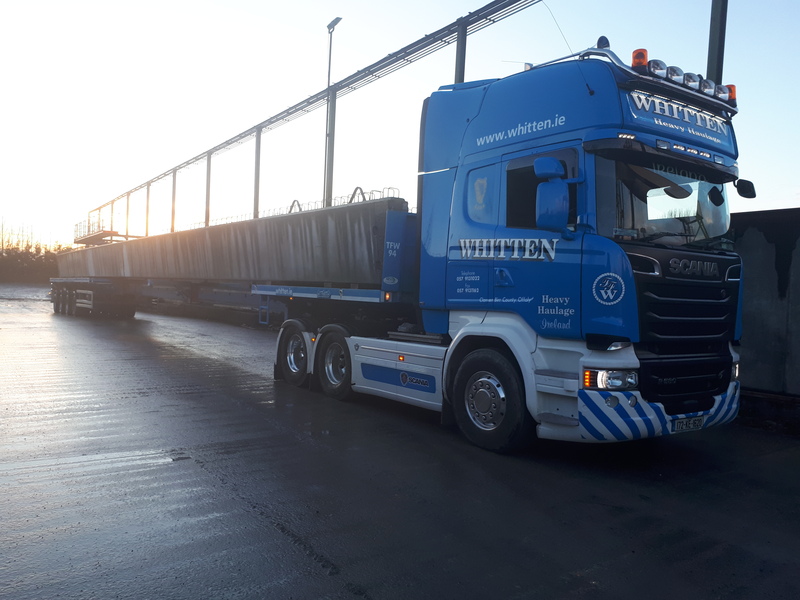 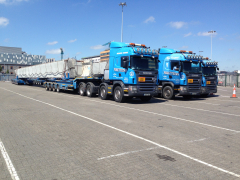 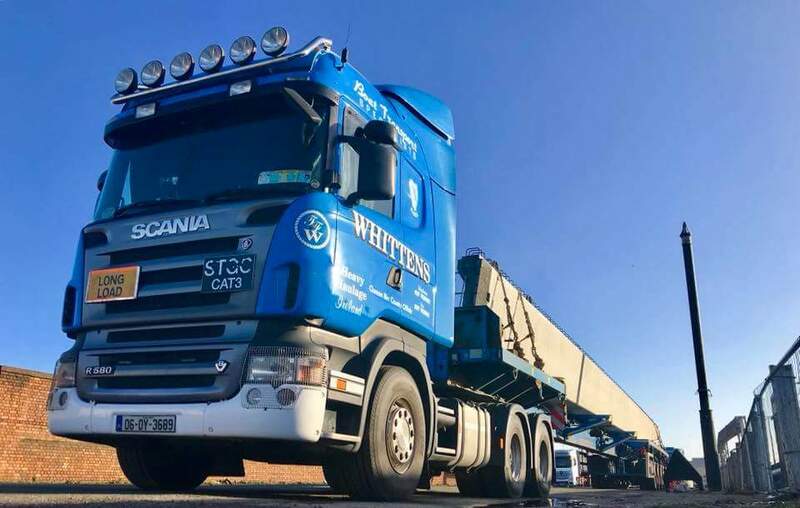 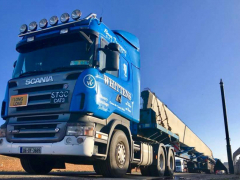 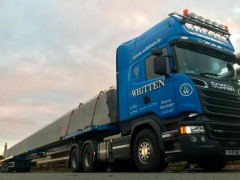 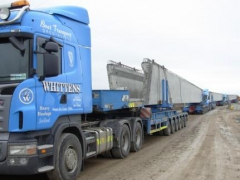 A long and cordial relationship with Banagher Precast Concrete Ltd. has assisted Whitten Road Haulage Ltd. to become the leading player in the Irish market in the haulage of Prestressed Concrete product to the many and varied infrastructure projects throughout the 32 counties and abroad. 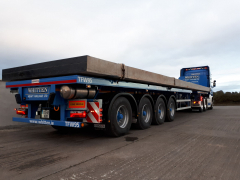 Our continuous investment in equipment and training has kept us abreast of advances in the design and manufacture of prestressed concrete product. 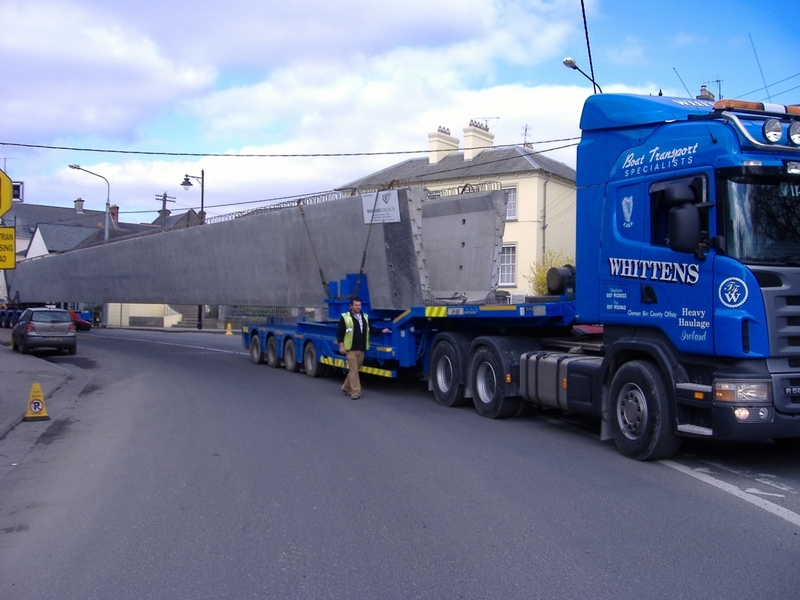 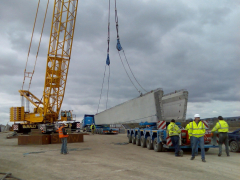 In March 2007 we were proud to play our part in the supply by Banagher Precast Concrete Ltd of the largest precast prestressed beams manufactured in Ireland to date. Through careful advance planning and liaison between all the parties involved - Design Engineers, Gardai, Local Authorities, Construction Engineers, Site Staff - we are confident that we can continue to deliver a first class service to the prestressed concrete industry as it continues to play an important role in the upgrading of our infrastructure.